by Nadine Artemis Author · Carrie-Anne Moss Author of introduction, etc. 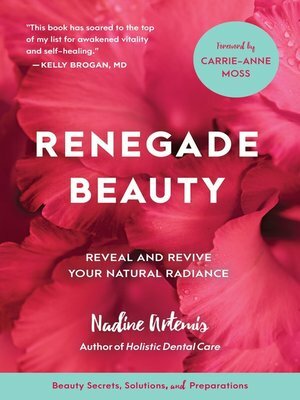 In this essential guide, Nadine Artemis introduces readers to the concept of "renegade" beauty—a practice of doing less and allowing the elements and the life force of nature to revive the body, skin, and soul so our natural radiance can shine through. Anyone stuck in perpetual loops of new products, facials, and dermatologist appointments will find answers as Artemis illuminates the energizing elements of sun, fresh air, water, the earth, and plants. This book is a comprehensive resource for anyone who wants to simplify their self-care routine, take their health into their own hands, and discover their own radiant beauty.